With many Ladera Ranch residents looking to improve their smile, porcelain veneers are a popular option in the California cosmetic dental community. Unlike a crown that completely covers the tooth, a veneer is a super thin layer of a very tough porcelain, composite bonding, or ceramic. When bonded to a tooth, the veneer creates a natural, translucent, and perfect new surface. It improves the appearance of the visible portion of your tooth instantly. To begin, you will need a consultation with your dentist, who should have ability in cosmetic procedures. You should look at what you do not like about your smile and find out how you want it improved. 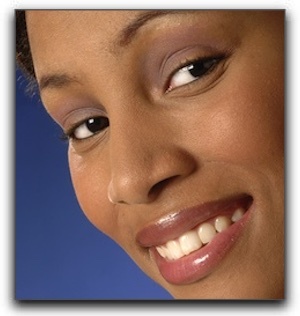 Veneers may not be ideal for you. Other cosmetic dental procedures are available that may be a better fit for the characteristics you wish to change. Porcelain veneers can repair many minor to moderate issues, including the size, shape, and color of your teeth. Gaps between teeth can be filled, as well as the lengthening or shortening of teeth to complete your pretty smile. Your dentist will also discuss both types of veneers: “traditional” and “prepless.” Before a traditional veneer is put on the tooth, the dentist first removes a very thin layer of enamel. Enamel cannot be replaced, which is one reason this protocol is irreversible. The second method is called “no-prep” or “prepless.” With this type, enamel removal is ordinarily not required. When no enamel is removed, the treatment can be reversible. However, this technique has specific criteria. In addition, it is possible to use both types of veneers for multiple teeth, depending on the condition of each tooth. Your dentist will help you evaluate your unique needs and advise you on how to reach your goals. Once you and your dentist have created a dental plan, your dentist will work with a laboratory and dental team to assure everything is carried out as discussed. If you do not have a cosmetic dentist, we invite you to visit our outstanding practice at 777 Corporate Dr. Ste 100 in Ladera Ranch. Lincoln Parker is a successful smile makeover artist. Experience is an important consideration. Call 949-429-0049 today to schedule a cosmetic dental consultation.